Due to a little-known 1992 law, SpaceX was forced to shut down their live broadcast of a Falcon 9 launch nine minutes after liftoff. 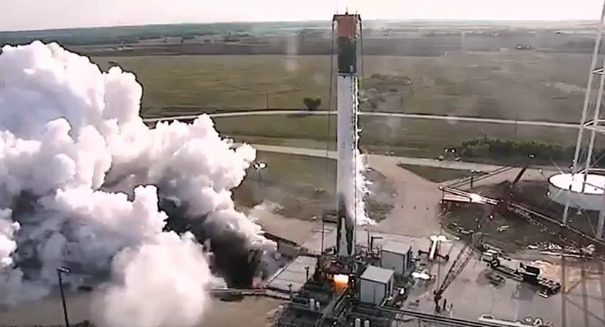 If you were watching the live stream of the most recent SpaceX Falcon 9 rocket launch, you may have noticed that the video oddly seems to have cut short at a certian point. And it is all because of an obscure law passed in 1992 that bars companies from broadcasting directly from space. SpaceX complied with the law by cutting its video short, and apparently the National Oceanic Atmospheric Administration is currently in the process of implementing it, according to reports. The law is was passed over national security concerns, although it hasn’t been specified what broadcasting from space would jeopardize on that front. The broadcast in question was of the March 30 SpaceX launch of a Falcon 9 rocket to bring 10 Iridium satellites into orbit. The feed was cut just under 10 minutes after liftoff, as SpaceX did not have the requisite permission from NOAA to broadcast the second stage, something that NOAA itself confirmed.